CAT 2019 - To know all the information about CAT 2019 including important dates, eligibility criteria, application form, exam pattern, syllabus, vital preparation tips and best books, read the full article. The Common Admission Test (CAT 2019) is likely to be conducted by Indian Institute of Management (IIM) Kozhikode tentatively in the last week of November. The entrance exam is conducted by the IIMs on a rotational basis. CAT 2019 is a national level management entrance examination which is conducted in computer-based mode. Candidates who qualify CAT 2019, they will be offered admission to MBA/PGDM courses that at IIMs as well as other B-schools which admit candidates on the basis of CAT score. The notification for CAT 2019 will be released around the last week of July and the registration process will begin from the second week of August. The end date for filling the CAT 2019 application form will be last week of September. The fee for the application form of CAT 2019 is likely to be Rs. 1900 for General/ NC-OBC candidates and Rs. 950 for SC, ST & PWD candidates. In 2018, CAT was held in 147 cities at 374 centres across India. There are at least 115 B-Schools which admit candidates on the basis of the CAT score, out of which one is in Singapore and 114 are in India. In this article, Careers360, brings to you all the aspects of the exam which the candidates must be aware of. Following the previous years’ trend, the CAT 2019 conducting IIM will release the important dates of CAT 2019 in the last week of July, 2019. Here, CAT 2019 aspirants can check the tentative dates to prepare themselves. The aim to know CAT 2019 exam date well in advance is to draw a preparation strategy. 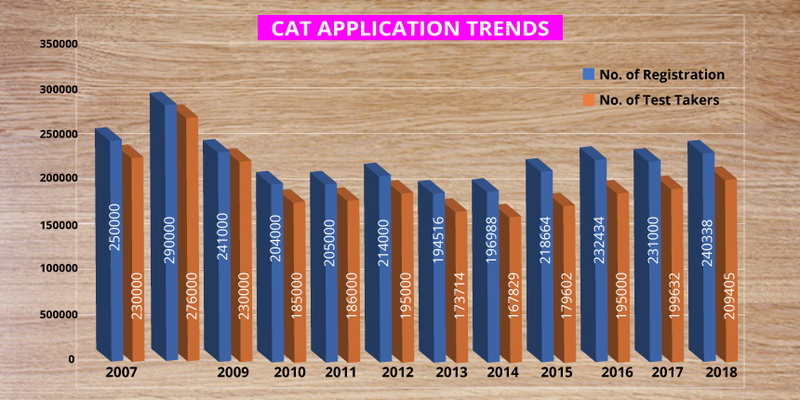 The application trends for CAT for the past ten years are given below in the table and they indicate an increase in the number of candidates who have appeared in the entrance exam. Indian Institute of Management (IIM), Kozhikode which will probably conduct CAT 2019 will release CAT notification 2019 tentatively on July 27. Soon after the publication of CAT 2019 notification, the authorities will start the registration process. All the important dates pertaining to CAT application form, CAT 2019 admit card, CAT response sheet and answer key, CAT result 2019 and eligibility criteria will be mentioned in CAT notification 2019. The information about the MBA programmes which are offered at twenty Indian Institutes of Management will also be stated in CAT notification 2019. General and OBC-NC category candidates must secure at least 50 per cent marks in aggregate or equivalent CGPA. For reserved category candidates, the minimum percentage to obtain is 45. The duration of the graduation programme in any discipline should be minimum three (3) years. Final year graduation students are also eligible to apply for CAT 2019 provided they complete their undergraduate studies within the stipulated schedule. The CAT 2019 application form will be released by the conducting IIM and the registration window will remain open for around 50 days from the date of release. Last year, IIM Calcutta released the application on August 8 and the last date to apply was September 26, 2018 (11:59 PM). The mode of CAT 2019 registration process will be completely online and applicants will have to visit the official website to fill the application form. How to fill CAT Application Form 2019? After filling up information on each page, applicants need to click on the tab ‘Save & Next’. Then, they would be prompted to upload their photograph and signature in the stipulated dimension. The last step is to pay the application fee through Credit/Debit Card or Net Banking. Last year, the application fee of CAT had been revised to Rs. 1900 for General/ NC-OBC candidates and Rs. 950 for SC, ST & PWD candidates. Earlier the CAT registration fee was Rs. 1800 and Rs. 900 respectively. Additionally, a new CAT payment partners were added, namely BillDesk, PayU and Paytm. After submitting the CAT 2019 registration/application form in online mode, a pop-up message will appear on the display screen with information pertaining to the application status (success/reject). Also, an SMS on the registered mobile number and an email to the registered email ID will be sent confirming the same. During the process of online form-filling, it might occur that applicants enter incorrect details due to typo, lack of information or any other reasons for that matter. To overcome this challenge, the CAT 2019 conducting IIM will open a correction window for a limited period of time to edit and correct the mistakes, if any. This will be activated after the submission of the CAT online application form 2019. However, applicants will be allowed to make corrections only in certain fields like percentage of secured marks, work experience and programmes selected. 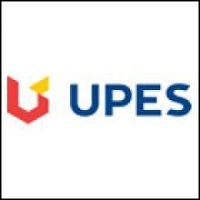 Information like personal details, academic details, exam city preference etc. cannot be edited, once selected. The correction window might be opened in the fourth week of September 2019 by the conducting IIM. All applicants who will successfully fill the CAT registration 2019 form, within the stipulated deadline with appropriate documents and fee will be able to download the CAT admit card 2019. The most important document for CAT 2019 is none other, but CAT admit card 2019 which must be carried on the exam date and kept handy until the completion of admission process. The admit card of CAT 2019 is expected to be released in the month of October, 2019. The mode of issuance of CAT 2019 admit card is completely online. CAT conducting IIM will not send the admit card through post, hence applicants must ensure that they download the admit card before the exam date, by logging in their registration credentials. Note - A new inclusion since last year: Google Map Link- The exact location of the test centre will be displayed on the admit card which can be checked on Google Maps by clicking on the Google Map link. How to download CAT 2019 Admit Card? Take print copies and keep it safe. How to correct errors in CAT Admit Card 2019? CAT Toll-Free Number: 1800-266-3549; Call on the Toll-free number, Monday to Saturday 9:00 AM to 6:00 PM (excluding National holidays). The comprehensive CAT 2019 exam pattern is formulated for a period of three hours/180 minutes. As per the exam pattern of CAT 2019, it is designed as a computer-based test comprising 100 objective type multiple choice (MCQs) and non-multiple choice type questions (non- MCQs). The areas or sections from which the questions are prepared include Quantitative Ability (QA), Verbal Ability and Reading Comprehension (VARC) and Data Interpretation & Logical Reasoning (DI & LR). The marking scheme includes negative marking for the MCQs only. Marking Scheme –Each question will carry three (3) marks. For each incorrect/wrong answer, there will be a negative marking of one mark. However, it has to be noted that there will be no negative marking for non-MCQs or TITA (Type In The Answer) questions. IIMs will not release any syllabus for CAT 2019, officially. It is only through the experts that the CAT syllabus could be formulated. Mostly, CAT syllabus 2019 will be based on the previous years’ exam analysis and the topics covered in CAT question papers. With a few alteration/s in the topics and CAT questions, the primary structure of the CAT 2019 syllabus will most likely be unchanged or unaltered. IIM Lucknow first released the official question paper of CAT in the year 2017 which was followed by IIM Calcutta for CAT 2018 as well. The trend will continue. It is expected that the question paper for 2019 will also be declared by IIMs in the first week of December, 2019. Candidates aspiring to appear for CAT 2019 must download the CAT question paper in order to know the types of questions and topics to expect in the upcoming CAT 2019. After applying for CAT 2019, the first question that will occur in candidates’ minds is how to get the sample papers of CAT exam! Candidates can download the CAT 2019 Sample Papers from the Careers360 Sample Paper Store for free. 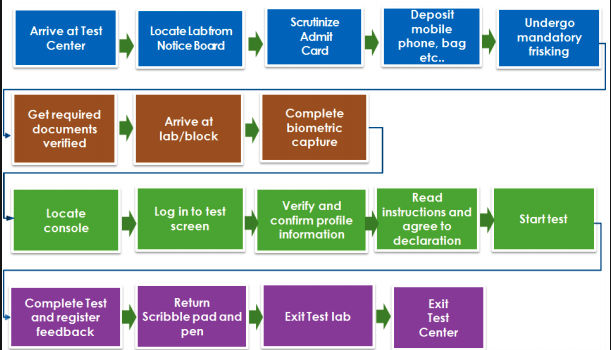 By solving the CAT sample papers, prospective test takers will be able to analyse their preparation status, understand the flow of the exam and last but not the least, be familiar with the test-taking process that helps in the management of time. 374 CAT 2019 exam centres will be located across 147 cities in India. Last year, two new exam states have been added- Mizoram and Nagaland. While filling the CAT 2019 registration form, CAT applicants are required to select four exam centres city in the order of preference. The final CAT exam centre will be allotted by exam conducting IIM and the exam centre details including address and Google map will be printed on the CAT admit card 2019. 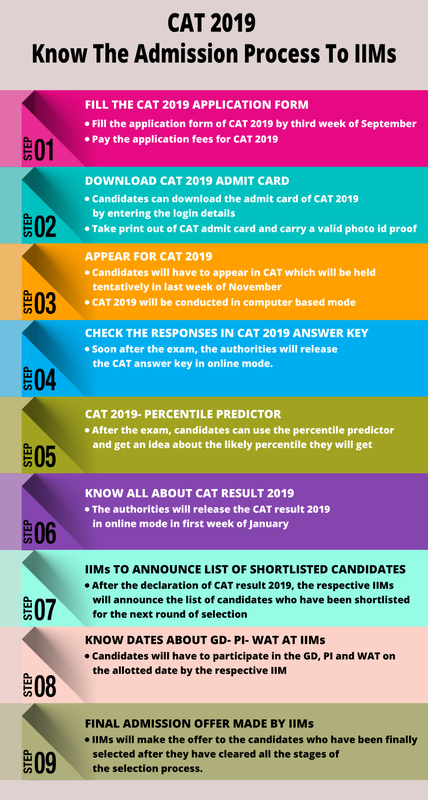 CAT conducting IIM will release the CAT 2019 mock test around mid-October 2019, to help the applicants understand the exam pattern/structure of CAT 2019. 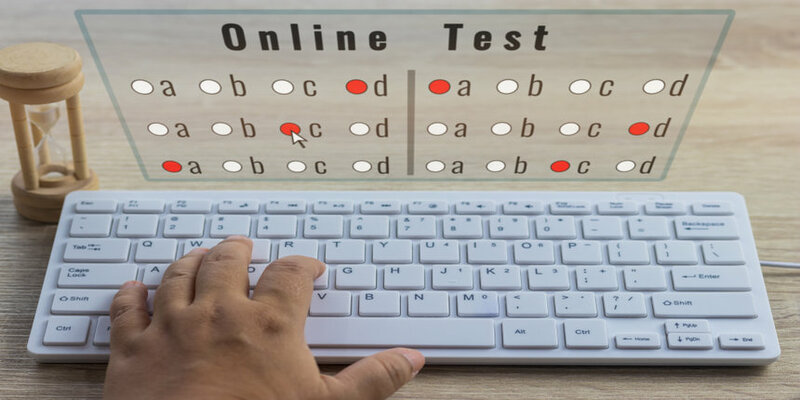 The mock test enables the test takers to practice and get accustomed with the online test format and navigation process. The test applicants are advised to take at least 8-12 CAT mock tests prior to appearing the main exam which might be scheduled in the last week of November, 2019. Last year, IIM Calcutta had released two mock tests. One was for all the candidates and the other for the PwD candidates with low vision. Both the test links were made available on the official website (iimcat.ac.in). CAT 2019 mock test will be designed in such a way that candidates will be able to check the usage of the online calculator and timer along with the question pattern of CAT. However, aspirants must note that the mock test of CAT 2019 will be meant for practice purpose only and the questions should not be treated as sample questions as there will hardly be any qualitative similarity in the questions. Refer to the important CAT Books that cover the entire syllabus. Apart from the smart strategy and planning, the most important aspect of CAT 2019 preparation includes taking good care of one’s health and stay positive for the entire tenure of CAT preparation 2019. Candidates should reach CAT exam centre on time as candidates will have to undergo frisking before entering the hall. One cannot appear for CAT 2019 exam more than once. Candidature will be cancelled if a candidate is found to appear for both the exam slots. Do not request entry to the CAT exam centre after the closing time as mentioned on the admit card of CAT 2019. Do not involve yourself in any arguments with fellow test takers or Test centre staff or attempt to copy or cheat. The decision of concerned authority will be treated as final on the test day. Do not use the keyboard at any point in time; this will lock your computer system. Do not request for change of CAT Test Centre/Exam Lab/Console on the Exam Day. Do not waste writing pad pages as it is will be distributed only once per candidate during the tenure of the exam. What documents are allowed inside the CAT 2019 exam hall? Candidates with the metal implant, pacemaker, etc. in their body should bring a medical certificate of the same at the CAT Test Centre. What are the things NOT allowed inside the CAT exam hall? If CAT 2019 candidates get the above mentioned articles along with them, they must submit the same outside the exam hall and collect them after the completion of the examination. CAT 2019 participating institutes include public and private institutes. The noted public institutes are IITs, NITs, FMS Delhi, MANAGE Hyderabad, IISc Bangalore to name a few. 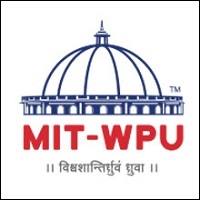 The top private participating institutes include MDI Gurgaon, SPJIMR Mumbai, IMT Ghaziabad to name a few. From the academic year 2019-21 onwards, Jawaharlal Nehru University (JNU), New Delhi, will also accept the CAT score for admission to its MBA programme offered by the School of Management and Entrepreneurship. CAT, once conducted gives rise to anxiety and apprehension. The CAT result or score is the reason of this worry! Test takers will become curious about their CAT performance in terms of score and percentile. The wait for CAT 2019 result may seem too long for them. So, for the benefit of CAT test takers, Careers360 has designed a special tool called CAT Percentile Predictor tool wherein candidates will be able to predict their CAT percentile right after appearing in CAT 2019. The CAT Percentile Predictor tool allows candidates to estimate their overall and sectional CAT percentile even before the actual result is announced. They will also be able to estimate their chances of securing admission in top B-schools like old IIMs (Ahmedabad, Bangalore, Calcutta, Lucknow etc. 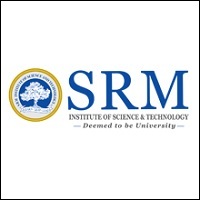 ), new IIMs (Amritsar, Ranchi, Sirmaur, Sambalpur etc. ), FMS Delhi, MDI Gurgaon, IITs, to name a few institutes. The best time to use the CAT percentile tool to calculate the score and analyse the performance will be after checking the CAT 2019 answer key. Furthermore, using this tool will help aspiring candidates prepare accordingly for the selection rounds of whichever management institutes or B-schools they are looking forward to. After the conclusion of CAT exam, it is customary that experts of various coaching institutes release the CAT analysis. The CAT analysis includes both sectional and overall scrutiny for the convenience of the test takers. As per the previous year’s CAT analysis by experts, the overall difficulty level was moderate to tough. Quantitative Ability section was the toughest followed by Data Interpretation & Logical Reasoning. On the other hand, the Verbal Ability section was the easiest. In terms of comparison between slots, Slot 2 was slightly tougher than that of the Slot 1. The CAT 2019 IIM will tentatively release the Candidate Response File (CRF) in the last week of November, 2019. The candidates who appear for the exam will be able to check their responses by logging in to the official website using their CAT user id and password. It will allow them to check and verify whether their responses were registered correctly or not during the exam. After the release of the candidate response sheet, IIM officials will release the answer key in the first week of December, 2019, tentatively. The official answer key of CAT 2019 is expected to be released in December, 2019. With the help of the answer key, test takers will be able to check the correct answers and calculate their estimated scores. Candidates will need to login to the official website to view and download the CAT 2019 answer key. Moreover, IIMs also provide the option to challenge CAT answer key or questions by paying Rs.1200 per question within a stipulated period of time. Based on the validity of the challenge, CAT 2019 conducting IIM would take appropriate action and refund the challenge application fee. However, if the challenge related to CAT answer key 2019 is found inappropriate, the fee will be forfeited. CAT 2019 result will be released in online mode around the first week January, 2020. To download the result, test takers need to login to the official website and follow steps to view and download the CAT result 2019 which would be published in the form of a scorecard. Candidates can login with their registered CAT user ID and password to download the PDF file of the result. The result or scorecard of CAT 2019 will consist of sectional and overall scaled scores and percentiles. The result is available in online mode alone, the exam conducting officials will not send it to the test takers through post. Candidates should take print out of the CAT 2019 scorecard and preserve the CAT result until the entire admission process. How to Download CAT 2019 Result? As CAT 2019 will be conducted in multiple slots across single day window, it is necessary to normalize the CAT scores of test takers across both slots. CAT conducting IIM will normalize the CAT 2019 scores using a formula similar to that of GATE exam. The CAT 2019 result will reflect the scaled scores for each section along with percentiles. The practice is followed in order to equate the scores and ensure that none of the candidates from either slot be in an advantaged or disadvantaged position. This process is used for almost all the entrance examinations that are held in multiple slots. CAT cutoff 2019 refers to the minimum percentile to obtain in order to get shortlisted by the CAT participating institutes. The CAT 2019 cutoff will vary among various management institutes. The reputed B-schools have a higher range of cutoff and higher admission criteria. The cutoff of CAT 2019 will generally depend on factors like difficulty level of the exam, number of test takers, number of seats among others. Most of the IIMs and other participating institutes have already released the CAT cutoff 2018 for different categories. As the admission procedure has already begun, the table here projects the respective cutoff scores pertaining to CAT 2018 (academic batch -2019-21). Here is the CAT 2018 cutoff for the IIMs who have released it officially. As per the CAT selection procedure 2019, each participating institute conducts individual admission process. The first step to shortlist candidates and this will be done considering the CAT 2019 cutoff. The shortlisted candidates will then be invited to appear for further selection rounds including Group Discussion (GD) or Writing Ability Test (WAT) or both and Personal Interview (PI) rounds. The new IIMs will conduct Common Admission Process (CAP) where the shortlisted candidates from all participating IIMs have to appear for WAT and PI rounds. Followed by the CAT 2019 selection procedure, each IIM will publish separate merit list for final admission. The selection process of B-schools or the CAT selection procedure of different participating B-schools is based on multiple criteria such as performance in CAT 2019, GD/WAT & PI rounds, candidate’s profile, past academic records and/or work experience (if applicable). The criteria or parameters vary across institutes. All IIMs will release their detailed admission criteria after the CAT notification on an annual basis. IIMs and other Government management institutes follow the reservation criteria of candidates. 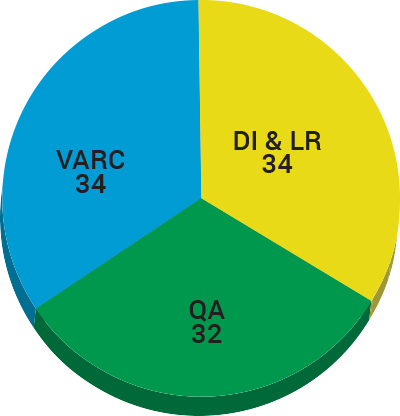 The following table displays the category-wise seat reservation percentage. Q.Do I need to submit the overall percentage of marks (bachelor’s degree) as per my University standards? A. As per CAT eligibility criteria 2019, you have to submit the percentage as per your university norms and regulations. Q.I am in final year of Bachelor’s degree. What marks do I need to enter in the CAT Application form 2019? A. If you are in your final year of graduation, you have to produce your aggregate percentage up to the last marks statement received from the recognised University. Q. Will there be any age limit for taking the CAT 2019 exam? A. No, there will not be any age limit for appearing in the CAT 2019 exam. Q. If I change my name abiding by due procedure after completing my degree, should I enter my name as per the degree certificate or the changed name? A. You should enter your changed name and provide the supporting documents for change of name at the time of examination, interview, and admission process. Q. Can I enter my coaching institute or a friend’s email address when registering for CAT 2019? A. Not at all. You must provide your personal email address which should be valid and unique. All correspondence related to CAT 2019 and subsequent information during the selection stages of the respective IIMs will be communicated to the registered email address. Q. I have done five (5) years integrated course of B.Tech and MBA. As per my university norms first 3.5 years is considered to be B.Tech and remaining 1.5 years is considered to be MBA. How do I enter my marks? A. In your case, you will need to enter the aggregate percentage of first 3.5 years under Bachelor’s Degree and the remaining 1.5 years under Master’s degree level. Q. Have completed a 5-year dual degree course (BTech+MTech, BS+MS, BTech+MSc etc.)? How do I enter my marks for the bachelor degree? A. You must produce the aggregate of marks that are equivalent to Bachelor's’ Degree under the Bachelor’s Degree section and the equivalent Marks for the Masters’ degree under the Master Degree section. Q. Can I appear for more than one slot for CAT 2018? A. No. You cannot appear for more than one slot. To ensure that CAT applicants appear for one attempt, their admit cards, photo IDs, candidate’s pictures, and biometric information will be verified. Candidates who attempt to take the test more than once will be eliminated anytime during the selection process. Q. If the website does not work or server id down and I am unable to complete my application, what should I do? A. If the CAT registration website is not accessible for any reason, please close the Internet browser (delete browsing history, cache & cookies of the web browser) and try afresh. Q. How much will be the CAT 2019 application fee and how can I pay the fees? A. Last year, the fee of CAT was increased to Rs. 1900 for General and NC-OBC candidates and Rs. 950 for SC/ST/PWD category applicants. The fee is expected to remain the same for CAT 2019. You can pay the CAT exam fee during online registration process. The payment of application fee should be done through online payment gateway by using a valid credit card, debit card, or net banking facility. Q. If I want to apply and register for more than one institute, should I pay the exam fee each time? A. You need to pay registration fee only once, irrespective of the number of institutes you are applying to. Q. I have completed my Bachelor’s degree in May-June 2019 but have backlogs, am I eligible to apply for CAT 2019? Q. My University name is not mentioned in the drop-down list while filling the application form? A. If your university’s name does not appear in the drop-down list, you may select the option as “Others” from the drop-down and continue the registration process. Q. Can I take the exam from any computer? A. A candidate must take the exam on a workstation assigned at the exam venue based on the city selected while registering for CAT. The venue details including address and Google map link will be printed on the CAT Admit Card. Q. Where can I select my preference of shift and test date? A. The exam shift (forenoon or afternoon) is allocated for each registered candidate based on the city preference made at the time of application/registration. However, candidates will not be allowed to select their exam slots/shifts. Q. Can I bring a calculator to the testing centre? A. No. You are not supposed to carry calculators to the CAT exam centre. You may use the on-screen calculator that will be available throughout the exam though. Q. How many non-MCQs are there in each section? A. The number of questions varies and cannot be disclosed by the CAT conducting IIM. Q. Will I get my CAT result 2018 on SMS? A. Yes. Exam conducting IIM will send the overall CAT result 2019 to the registered mobile number of the candidates through the SMS service. Q. How do I check if I belong to the NC-OBC category? A. To know whether you belong to the NC-OBC category, check the following website: https://www.ncbc.nic.in. Refer to the updated list of state-wise OBCs eligible for availing the benefit of reservation/relaxation and information in respect of the creamy layer. Q. What is the benefit provided to PwD candidates with Blindness or low vision/cerebral palsy? A. PwD candidates suffering from low vision/blindness/cerebral palsy will be allowed to bring a scribe. Such candidates will also receive a time extension during the examination. Moreover, last year IIM Calcutta had released a special mock test for the PwD candidates with low vision. Q. What will be the time extension given to a PwD candidate? A. PwD candidates with or without Scribe requirement will be given a time extension of 20 minutes each section, which comes to a total extension of one hour for the full test. Q. Is CAT score the decisive factor to get admission to IIMs? Q. When can I apply for CAT 2019? A. You can apply for CAT 2019 by second week of August when the application form for the same will be released. Q. How can I apply for CAT 2019? A. You can apply for CAT 2019 by filling the application form of CAT 2019 which will be released by the IIM which will conduct the exam. Q. Which IIM will conduct CAT 2019? Q. Is money allowed in CAT exam? A. No, you are not allowed to carry any cash in the CAT 2019 exam. Q. For what CAT exam is conducted? A. Common Admission Test 2019 is conducted for admission to the MBA programmes that are offered at IIMs. 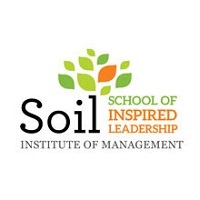 There are other B-schools which also admit candidates on the basis of the CAT score. Q. Who can apply for CAT 2019? A. Candidates must meet the eligibility criteria of CAT 2019 that is laid down by the IIM which will conduct the exam. Before filling the CAT application form 2019, candidates must ensure that they meet all the academic parameters as well as other conditions that are laid down by the exam conducting body. Q. How many times in a year CAT exam is conducted? Q. Is cat an online exam? A. CAT is always conducted in computer based mode.